And are buried as deep as the soul can see. when you are Tethered to Chains. 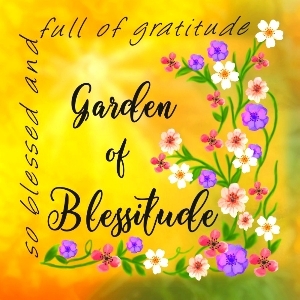 Sending Sweet Blessings from the Garden of Blessitude! Here’s a little ‘Blast from the Past’ I hope you enjoy, “Lyrics of My Soul.” I wrote the poem in November of 2014 and it inspires me to see that truth and authenticity were just as important back then. Hope you are traveling in light! Dearest Lorrie, your words ring so true. I would be just so honored to share with you a little insight I have just seen in my own life. A pattern from my childhood, one that I detested and brought great humiliation and pain to me, has followed me all the way to this present day, mostly seen through my spouse. I stopped and asked …. But how did this horrible pattern, one NOT of my making, follow me? I believe I was so traumatized in childhood by this pattern that this actually changed my DNA. This pattern is in my psychic makeup, unseen and very unpopular. It is up to ME to figure out how to break this pattern. I started doing very kind and Loving things when this pattern was most prominent, leaving my husband very puzzled as to why I was doing what I was. 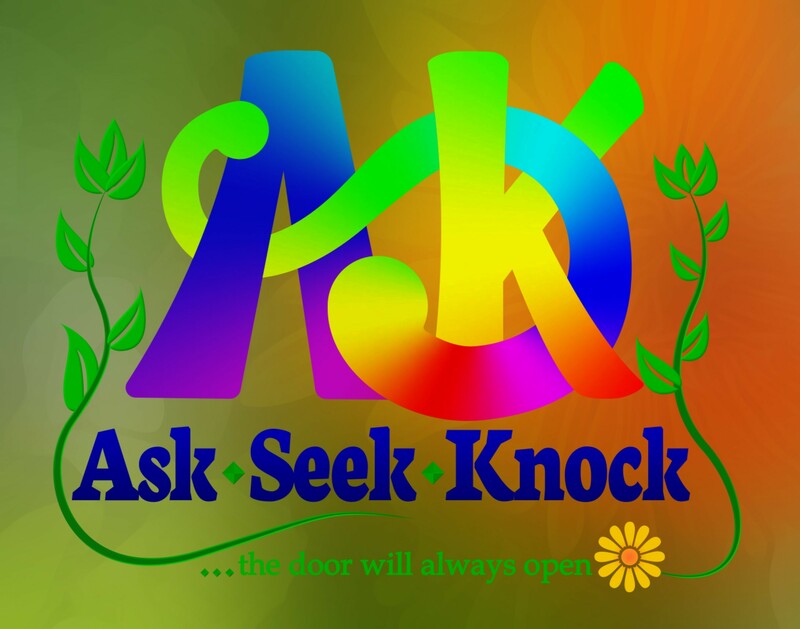 My answer …. I’m practicing on showing acts of Love to the man who will Love me exactly for who I am so that I no longer have this misery in my life. From that day on this pattern “seemingly” is gone. Did I kick it out? I don’t know. Only time will tell. I know you KNOW, dear Amy❤ We seem to have experienced such similar circumstances, and the beautiful thing is that we continue to learn and grow through the hard times. Thank you so much for spreading your love and wisdom…I am ALWAYS so grateful to connect with you!! And Yes, I understand completely what you are saying. ‘Smother it with kindness and love’…I think just may be the key to a great many things. Easy to say…not always so easy to accomplish. Hi Lorrie. These are poignant musings. I can’t tell if your challenge continues or not. Regardless, you are appreciated. May we remember to love ourselves through it all. Hugs! Hi Brad. Thanks so much for your contact and your caring heart! I’m afraid that I have slipped a little in the self love department of late, but I am working now to fix that by recognizing where I’ve been lax and rectifying it. This is such a sad time, as my Mom is actively dying 😥 It has been a shock first, and there is never an easy way to watch someone you love…heck anybody!…suffer. I just keep trying to be there for her, and always wish I could do better. Sending you great thoughts and light…hope the holiday season finds you awesome! What an amazing piece of art Lorrie, and an honest, heartfelt poem. I know can totally relate. And loved reading the exchange between you and Amy. Very helpful to me! Thanks for your honesty, and your beautiful expression. Hi Maggie💜 Thank you my friend…I can feel your love…and I need it! Thanks, Ka. I can feel you too! And I am so grateful for that💜 I am twisting…and wrenching….and everything I have ever known feels a bit warped. I know this is a natural progression of life, but it truly is the hardest thing I have ever been involved in! I love her…plain and simple. I tried so hard to help her…and now my hands are tied and there is NOTHING I can do…but sit beside her bed and just BE with her. Sorry…but tonight is a bad one…it goes in spurts. When I least expect it I am reduced to rubble. I remember how hard that climb was. The ghost chains still pull at me now and then, but they are weak. Mostly I know that it is more than okay to take care of myself. You are worthy and valuable. Keep looking to the light above, the light of freedom. The chains grow weak and you grow stronger. One day you will look back in wonder and gratitude for your ever growing freedom and peace. Thanks so much for your enthusiasm and encouragement!! I feel it and I am working so hard on framing these events in a much lighter way. Thanks so much…I am so thankful for your feedback…and hope you are well! Lorrie, I so understand the chains… One minute you think you have been released only to then have something trigger a memory held deep within which you had thought you had dealt with and another padlock needs the combination keys to unlock it.. The main thing is, is that you are working away Link, by link, Only the beginning of the year I thought I had dealt with all of my Mothers baggage and up cropped another load which laid a guit trip over me.. So I turned it on its head and thought from another perspective.. Instead of always viewing that It was somehow ME that was in the wrong or had done something to warrent my mothers indifference.. I tried looking at life from her shoes,in the hopes I saw a glimmer of how she percieved herself to be.. The grief surfaced and I forgave her, deeply once and for all I think I really forgave.. And I knew deep down there was nothing I needed to forgive myself for, but I forgave myself anyway..
Is that This Life, Here and Now, it is the time to release ALL that we are holding onto. So as we do not have karma to keep hanging onto and repeating. This is the time to allow ourselves the freedom to let go, so we can truly ascend, without judgement of others or ourselves.. This is the life we choose to now LET GO, so I know as hard as it is to keep digging,and going within, we are learning to release all that is binding us here.. So keep working through it, and chain by chain, link by link, I know you will succeed..
Oh, Sue…I read your response days ago…and I have not been able to respond the way that I wanted. You are such a source of inspiration and light to me and I need you to know that whenever you write to me, I can feel, not only your wisdom, but your deep love that you freely extend to me and others. The energy that supports your words finds my heart and the truth has an impact beyond imagination. I still have much work to do, no doubt. But I am walking forward, moving forward, every single day. Thank you for sharing your journey…I am so happy that you have been able to set yourself free from the chains that held you down. Isn’t it amazing how we can think we have dealt with something and set ourselves free and then something comes back and knocks us off our feet?! I think, Sue, that the parent/child relationship is the deepest one there is and that the emotional aspect and scars from a life lived together can be so deep that it takes a while for the deepest ones to surface. Forgiveness, for your Mom and for yourself is such a liberating process! It can change the fabric of a life and it will loosen the chains…perhaps the most important ones…and set lose a creative energy that is so powerful. I am grateful for you, Sue. We share so many similar life events and I look to you for guidance…and I hope that I can help you too! Awww thank you dear Lorrie, all we can do is keep working on ourselves.. So never feel like you are failing, or falling back.. Just know there are so many hidden layers we need to reach deep within to clear out.. Its a painful process because the wounds of the past often don’t want to heal, because the emotional scarring is so deeply embedded..
Once we understand we have been held prisoners via the attachments we have grown used to, and we stand back from ourselves, we then perceive this reality and our experiences within it in a different light..
Its been the most painful of roads this last couple of years, as I fully now understand what I was doing to myself, and why. It really is a weight that lifts from your shoulders when you truly open your heart to yourself.. And the Christ- Consciousness within, which is LOVE… which was the real true message all along..
Love and Blessings dearest Lorrie, and you are most welcome.. Thank you for your lovely feedback..
Love your art Lorrie. Poignant words! My heart goes out to you with your Mom. So sorry, you are both in my prayers….take care of yourself. Blessings! Hi Kirt…thanks so much for your well wishes and prayers…I love prayers💜 My heart is truly breaking…this is the long goodbye and the end is very near. I hope you are well, Kirt. Have a wonderful Sunday! Thanks Lorrie…you and your Mom are in my prayers. Appreciate your prayers, Kirt. This is the hardest thing I have ever experienced. And thanks for the shout out on the art😉 It was fun to draw this one. It’s interesting and so affirming looking back on our journey and seeing just how far we cave come. Thanks for stopping by and leaving a footprint! Thank you so much, Sue💜 I can feel the love and the special hug!! I wish you peace that is wrapped in Joy. Hi Sue💜💜 Thank you so much my wonderful friend! I just got a giant smile when I saw you here…so happy to feel your energy. I am in a time of such great expansion!! I Am Blessitude to have you in my life. I wish you peace and joy, Sue. May this New Year be one that sees the collective energy of good take over and spread it’s wonderful joy to the whole world! Reworking yourself is not a job for the faint of heart. The Apostle Paul says he is not all he wants to be but he presses on to become all God has called him to be. “He who began a good work in you is faithful to complete it. Transformation is a partnership. Paul said everyone who is in Christ Jesus is a new creation. Old things have passed away and behold everything has become new. When we believe that Jesus has paid it all for us on the cross He baptizes us in the Holy Spirit filling us with His very DNA. The Holy Spirit becomes our proof that we are truly God’s children. He says we can call Him Daddy! and come to Him with all our problems. So incredibly brilliant! 😊 Thanks so much! And I appreciate your comment…and it is not for the faint of heart. But sometimes life (God) has a plan that we know nothing about and you either get on board or you are destined to repeat the same lessons over and over. Sending you Sweet Blessings for a year filled with love and light! And back at you friend!